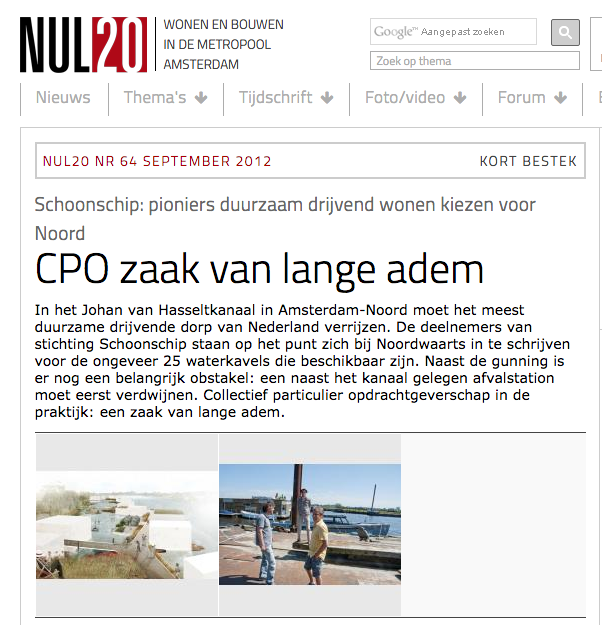 A beautiful article on Schoonschip for the Nul20 edition of September 2012. Nul20 is the magazine on housing policy in the Amsterdam region. Read the article on Nul20’s website (September 2012).